Did you know there are ways to support Mercy House at no extra cost to you? 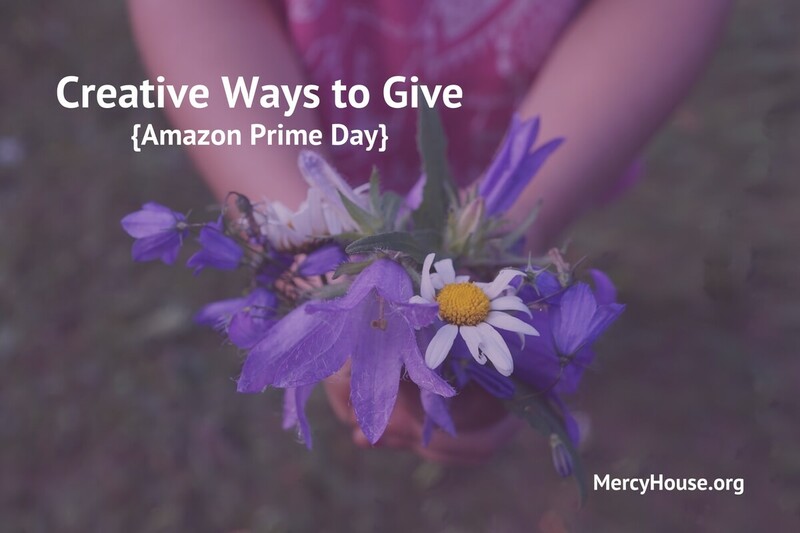 Amazon has a Community Program that will donate a percentage or portion of purchases made to the charity of your choice when you enroll in Amazon Smile. Amazon’s third-annual Prime Day is on Tuesday, July 11th, and will feature more than 100,000 deals exclusively for Prime members, making it one of the biggest shopping days of the year. When you shop on Prime Day, shop at smile.amazon.com! Designate Mercy House Ministries Inc. as the charity of your choice and generate donations at no extra cost to you. Start with a Smile on Prime Day. Shop for great deals. Sign in to your Amazon account. Pick a charitable organization. Choose Mercy House Ministries, Inc. (we are in Colleyville, founded in 1997). Install the Amazon Assistant App. Amazon will walk you through and provide details on the service. Then, when you shop, go to: smile.amazon.com!. Don’t forget to Mark Your Calendar for Amazon’s Prime Day on Tuesday, July 11th!